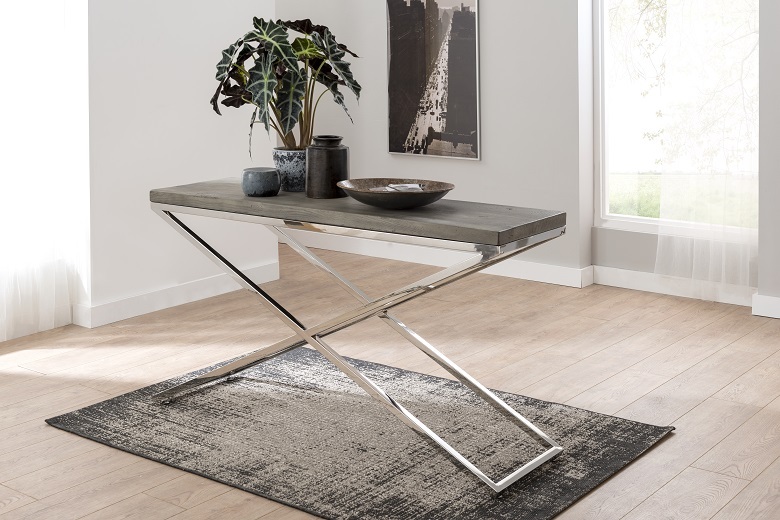 The Tephra collection has a unique driftwood timber effect with a magnesium oxide table top and stainless steel legs. The collection is both scratch and heat resistant and also boasts anti fade and waterproof technology. All models are easily assembled and the legs can be put in two different positions depending on users preference. Magnesium oxide with timber mould pattern.